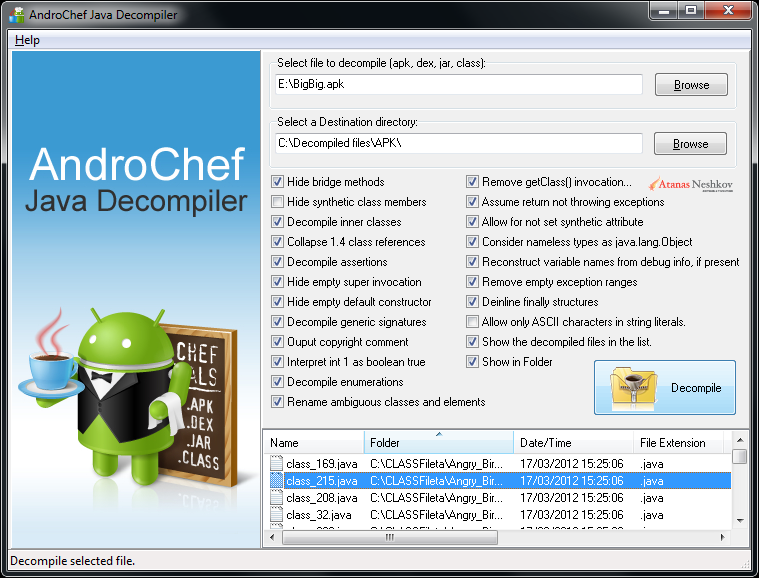 AndroChef Java Decompiler is Windows XP, Windows 2003, Windows Vista, Windows 7, Windows 8 , 8.1 and Windows 10 decompiler for Java that reconstructs the original source code from the compiled binary CLASS files. 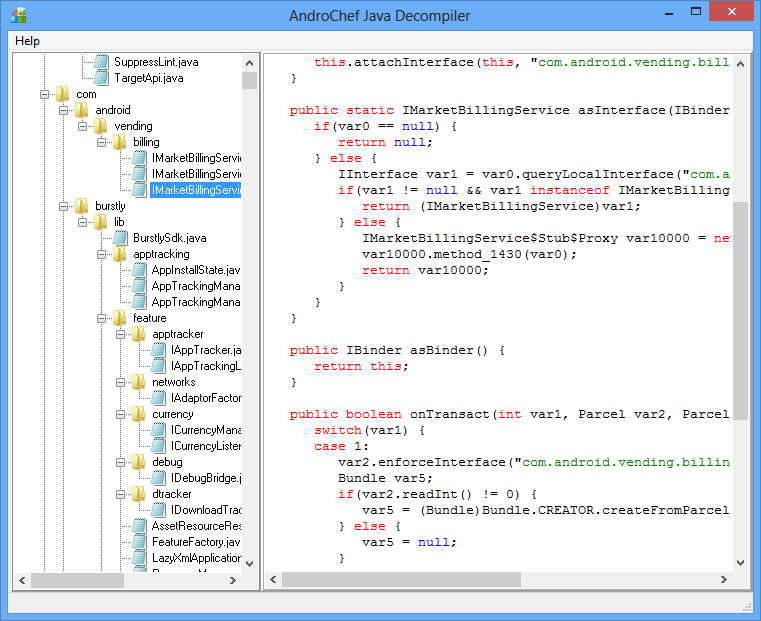 AndroChef Java Decompiler is able to decompile the most complex Java 6 applets and binaries, producing accurate source code. AndroChef successfully decompiles obfuscated Java 6, Java 7 and Java 8 .class and .jar files. Support Java language features like generics, enums and annotations. 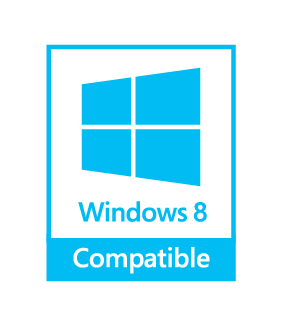 According to some studies, AndroChef Java Decompiler is able to decompile 98.04% of Java applications generated with traditional Java compilers - a very high recovery rate. It is simple but powerful tool that allows you to decompile Java and Dalvik bytecode (DEX, APK) into readable Java source. Easy to use. If you click Left Mouse button + move the mouse wheel, the text in "Code vew" will zoom in or out. 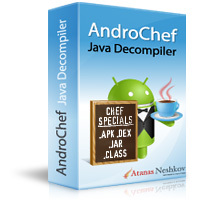 We sell AndroChef Java Decompiler via DR MyCommerce, Inc. A Digital River Company.